Discover Copenhagen’s vibrant Latin Quarter and its bookstores, university-driven energy and cozy public square, Gråbrødretorva. Learn about the founder of the prestigious Nobel Prize, Alfred Nobel, and join an expert for an exploration of Stockholm's City Hall, home to the Nobel ceremony. Explore the proud warship of Vasa which was restored in the 1960s, and hear a lecture at the Vasa Museum. Copenhagen is capital of the “Happiest Nation in the World,” shelters the planet’s most bicycle-crazed residents and claims author Hans Christian Andersen and “The Little Mermaid.” Stockholm is home to the 17th-century “Vasa” warship, 70 miles of kaleidoscopic art in a subway system called Europe’s most beautiful, and Alfred Nobel, founder of the prestigious prize. Join us in Denmark and Sweden on a discovery of these Scandinavian sister capitals, from vibrant neighborhoods and nautical history to modern politics, gleaning insight from local experts while enjoying plenty of time for adventures on your own. Activity note: Check-in available from 3:00 PM. Dinner: Hotel dining room. Please note that water is included in the program cost at all meals. Evening: Gather for an orientation of the program. Your Group Leader will greet everyone and lead introductions. We will review the program theme, the up-to-date Daily Schedule and any changes, discuss safety guidelines, emergency procedures, roles and responsibilities, and answer any questions you may have. Indicated times are approximate. Program activities, schedules, and personnel may need to change due to local circumstances. In the event of changes, we will alert you as quickly as possible. Thank you for your understanding. Breakfast: Hotel dining room. On this program, breakfasts will offer a typical European style breakfast buffet with breads, cheeses, cold-cuts, yogurt, fruit, cereals, juice, milk, coffee, tea and water. 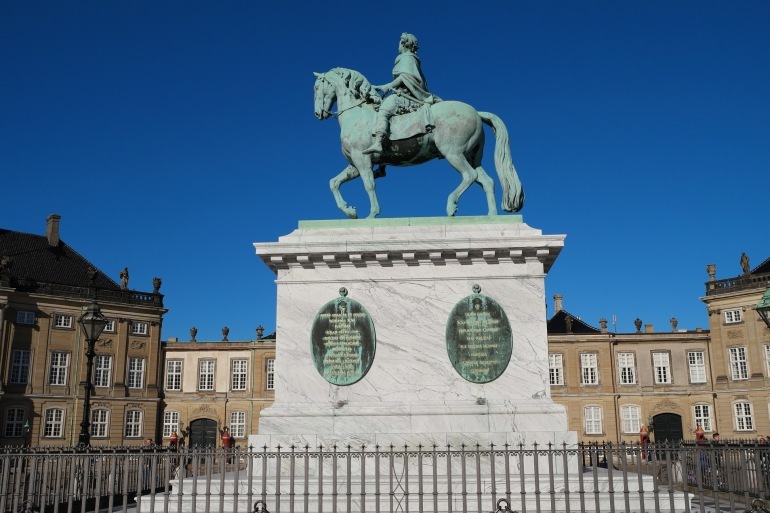 Morning: Take in a lecture focused on the history of Copenhagen and Denmark. Afterwards, enjoy an expert-led walk through the Latin quarters of Copenhagen. Lunch: Explore local fare on your own in the center of Copenhagen, near the Cathedral and the pedestrian street, Strøget. Afternoon: Choose between two included field trips: The Christiansborg Palace and the Royal representation rooms or The New Carlsberg Glyptotek Museum. Christiansborg Palace is the home of Denmark's three supreme powers: the executive power, the legislative power and the judicial power. Christiansborg Palace is the only building in the world which is the home of all the supreme powers of a nation. The Glyptotek Museum is an art collection, an architectural monument and a cultural institute. One of the most popular art museums in Denmark, Glyptotek houses a vast collection of Danish art from the 19th and 20th centuries. Dinner: Explore local fare on your own, in the city center. Morning: Denmark has been ranked as the Happiest Nation in the World by the UN Conference on Happiness. Today’s lecture introduces you to the Danes, their democracy, their daily life including the social welfare system, and Copenhagen’s ambition of being carbon neutral in 2025. After the lecture you will meet a local who will take you on a walk through his or her daily life as an urban parent; showing and telling about the life of a Danish family. Stop at a local cafe for a light snack and coffee. Afternoon: Enjoy a free afternoon to explore on your own. Take this opportunity for personal independent exploration to see and do what interests you most. Please refer to the list of Free Time Opportunities, which can be found in the first Information Packet. The Group Leader will be happy to offer suggestions and give directions. Evening: This evening, share a cup of coffee with a local family at their home. Morning: This morning's expert-led field trip takes you by canal boat to the new urban areas of Copenhagen: Sydhavnen and Islands Brygge. Hear a field lecture about new Danish architecture and trends. Your morning continues by bus or metro (elected the best Metro in the World) to the new quarters of Copenhagen: Ørestaden, where the ambitious and internationally famous Danish architect, Bjarke Ingels (BIG) has designed the controversial dwellings named “The Mountain,” “WM house,” and “8-tallet.” Enjoy a guided walk through the area. Lunch: Danish lunch at the “8-tallet” panoramic café. Afternoon: Enjoy a free afternoon to explore on your own, or take an informal field trip to the free city of Christiana, also known as "the hippie city," founded by hippies who occupied the old, empty military buildings in the mid 1970s. Today, the occupiers have turned less militant, but Christiana still has its own rules and democracy. See the creative architecture of the commune's buildings during an expert-led visit through the area by one of the inhabitants. Dinner: A farewell to Copenhagen dinner at Brew Pub, a charming micro brewery located in the basement of a 19th century building, close to the hotel. Activity note: Please note that during this train transfer, your luggage will be stored close to you in your train compartment. Breakfast: Early morning breakfast in the hotel dining room. Morning: Board an early morning train for Stockholm (travel time approx. five hours). Afternoon: Upon arrival in Stockholm, transfer to the hotel. Evening: Attend a briefing and introduction to Stockholm after dinner. Morning: Attend a lecture entitled "Getting Sweden on the Map," focusing on Swedish history and the trends and challenges of today. Following the lecture, enjoy an expert-led walking and coach excursion. Enjoy a magnificent panoramic view from Fjällgatan, a historic city street located on the edge of a high cliff. Afternoon: After lunch enjoy free time to explore on your own. Take this opportunity for personal independent exploration to see and do what interests you most. Please refer to the list of Free Time Opportunities, which can be found in the first Information Packet. The Group Leader will be happy to offer suggestions and give directions. Morning: This morning take public transportation to Gamla Stan, Stockholm's Old Town, for an expert-led walking excursion. Then take a short ferry ride to the island of Djurgården. Here visit the proud warship of Vasa. On its maiden voyage in 1628 it sunk, but was raised and restored in the 1960s. Take in a lecture at the Vasa Museum. Lunch: Explore local fare on your own on the island of Djurgården. Afternoon: The island of Djurgården has many museums, including Nordiska Museum, Prince Eugen’s Waldemarsudde, Skansen Open Air Museum, Liljevalchs Gallery, and the Abba Museum. Enjoy an afternoon of free time to explore one of these museums on your own. Afterwards, walk back to the hotel (30 minutes). Public transportation is also available. Morning: The prestigious Nobel Prize is well known throughout the world, and the founder of the prize, Alfred Nobel, was Swedish. This morning, learn about Alfred Nobel and Swedish political life during a lecture. Continue the morning with an expert-led excursion to City Hall, which is home to the Nobel ceremony. Afternoon: Have some free time this afternoon. You may wish to explore NK, the largest department store in Scandinavia, or visit the hip Södermalm (SoFo) quarters with its unique, fun, and young shops and cafés. Dinner: Farewell dinner at a local, cozy restaurant. Morning: Transfer to the Stockholm airport (ARN). This concludes our program. The Palace Hotel is centrally located at the City Hall Square in Copenhagen, boasting beautifully renovated rooms and charming settings. Designed in Jugend style by architect Anton Rosen, the hotel was built in 1910 and continues to be praised by all. It was completely renovated in 2008 and has a new, contemporary design. The hotel is a minute’s walk from the pedestrian area of Strøget, with views of the City Hall and the famous Tivoli Gardens. The four-star Scandic Park Hotel is located in the area of Östermalm, facing the peaceful Humlegården Park. Restaurants, museums, Stockholm's Royal Palace and the Old Town are all within easy access. Elisabeth Svalin Gunnarsson earned a degree from the University of Stockholm with majors in history, cultural anthropology and architecture. She worked for many years in Swedish museums and today has her own business as a freelance author, photographer and lecturer. She has written 12 books on the topics of garden history, cultural heritage of the church and architecture. Elisabeth has served as CEO of the Swedish Horticultural Society, and lives in the beautiful city of Vaxholm in the archipelago of Stockholm.